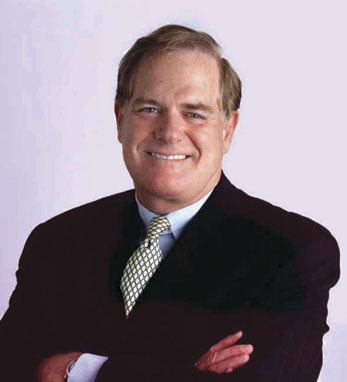 Joseph Moglia is the Chairman of the Board of TD Ameritrade Holding Corporation. Moglia joined TD Ameritrade in 2001 after 17 years at Merrill Lynch, where he was a member of the executive committees for both the institutional business and the private client business. Before leaving, he was responsible for all investment products, the insurance company, the 401(k) business and the middle market business. Prior to entering the financial services industry, Moglia was the defensive coordinator for Dartmouth College’s football team. In 2005, Moglia authored Coach Yourself to Success: Winning the Investment Game, which explains the essential principles of investing through in-depth insight and practical advice. Moglia is a member of the board of directors of AXA Financial, Inc., Creighton University and the National Italian American Foundation. He holds a master’s degree in secondary education from the University of Delaware and a bachelor’s degree in economics from Fordham University. Moglia is a first-generation Irish-American whose mother is from Belfast. He is married with six children.